In the spirit of togetherness that defines Ghostbusters on screen—if not off—Paul Feig has recruited his The Heat co-writer Katie Dippold to help him pen the next, all-female version of the franchise. As previously reported, Sony hired Feig to helm the third Ghostbusters film after years of failed attempts, and amid the growing realization that Ghostbusters 3 was likely to be just a disheveled Dan Aykroyd rambling about ionization rates while Jonah Hill looked on nervously. Instead, there’s now the strong possibility that someone will shush Aykroyd and remind him that there are ladies present. Feig made that official today. As for who those hilarious women will be, the presence of Dippold certainly hints that Heat star Melissa McCarthy could end up in there—just as Bill Murray himself suggested, when he was asked to name funny women who are also not Bill Murray. 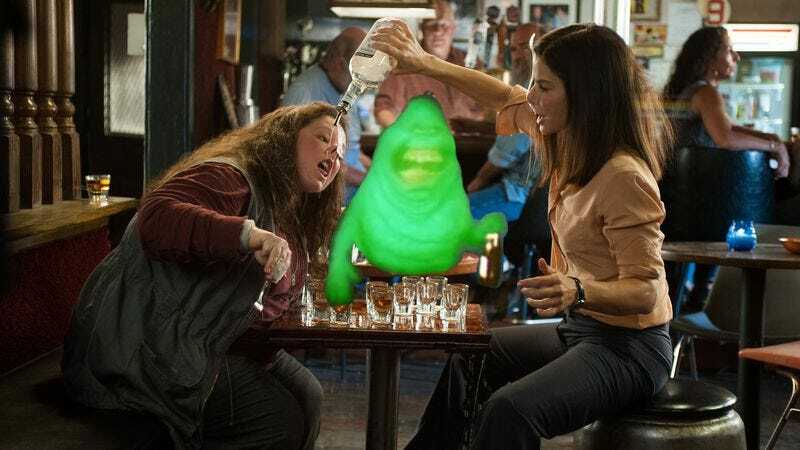 But obviously, nothing is official yet, including who will star, how the film will tie into the existing Ghostbusters franchise (if at all), or even when we can expect it, given that both Dippold and Feig are busy prepping The Heat 2. All that is known for sure is that this new film will find women busting ghosts, as well as gender stereotypes regarding the busting of ghosts. There’s also the strong possibility that this busting will make them feel good—so good, in fact, they can’t help but engage in a choreographed dance to an early-’90s pop song.